With hundreds of millions of users, most professionals turn to Dropbox when they need to share files, videos, photos and more. There are, however, other alternatives for file sharing, such as TeamDrive, Google Drive, Box, SpiderOak and DropSend. The latter, DropSend, recently announced its completely redesigned responsive website that makes it easier to send large files quickly from any device. With its contemporary style (large images, large calls-to-action, minimal copy), the new DropSend website is not only easier to navigate but also offers a dedicated page for enterprise customers. Particularly useful for businesses is DropSend’s ability to let users manage access rights, file expiration dates and the number of times each file can be downloaded. Other privacy features include the use of encryption technologies. 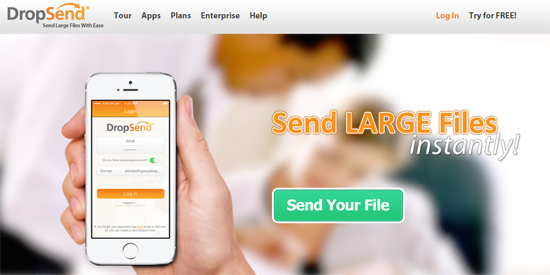 Along with the site redesign, DropSend increased the maximum file size from 4GB to 8GB.